Have you trusted in the resurrected and living Christ? Then God has revealed to you that according to His Word, the Holy Scriptures, your faith is a gift of God, not earned or deserved, and freely bestowed upon you by the Lord of life. Your faith comes as you perceive your situation—a most hopeless condition—that you, like all of us, are separated from God in our sins, in the progeny of Adam, and in need of a Savior to live the life we cannot live and die the atoning death that should be ours. That Savior is Jesus of Nazareth. He is fully God and full Man. He came to die on the cross for our sins, and to rise again for our new life. In a word, Jesus is God. He is the fullness of the triune God in bodily form. He came of miraculous birth. He performed miracles and his powers over life and death, over the wind and the waves, validated His own self-identity. He was crucified for our sins. He rose from the dead on the third day, was seen in his resurrected state by over five hundred men at one time, and He ascended into heaven where He is seated ever interceding for those who will believe and who have believed in Him. He is coming again in glory. The faith summed up in the Apostles’ Creed, the Nicene Creed, as well as historic Christian statements of faith such as the Westminster Confession of Faith and the Larger and Shorter Catechisms is the faith of the Bible. To receive this Christ by faith is to receive everlasting life and abundant life here and now. Yet faith in Jesus Christ is the beginning of, literally, the journey of a lifetime. Peter, one of the disciples, who was also an apostle, and who also came to believe in Jesus as the Christ (the Messiah, the Anointed One, the Promised One of God to deliver us from our sins through a perfect life and through atonement) taught Christians that they must grow in the grace and knowledge of Jesus Christ. “But grow in the grace and knowledge of our Lord and Savior Jesus Christ. To him be the glory both now and to the day of eternity. Amen” (2 Peter 3:18Open in Logos Bible Software (if available)). This does not happen in one sermon, one reading, or one class. It is a lifetime of following the Lord in the three major ways that Peter outlines here. As a new believer, you need to know, as we all should, that we were saved by grace. We were not saved by what we “brought to the table,” but what Christ did. Period. Christ plus nothing. “G-R-A-C-E: God’s riches at Christ’s Expense” as Dr. D. James Kennedy used to say. We are saved by this “great exchange” of Christ’s life lived for us (a perfect life which God requires in His Law) and His atoning death on the Cross (the verdict of sin is death and Christ died for you so that you could live with Him forever). He got your sin. You get His life. That is the divine plan of salvation in Christ Jesus our Lord. That is grace. But what is it to grow in grace? To grow in grace is to grow in thanksgiving to God for His grace. To grow in grace is to recognize that God is due all of the glory for our lives. To grow in grace is to move closer to Him in every way, not in a relationship of earning His favor through our works, but in worshipping Him and enjoying Him forever for His love, mercy, presence and power all showered on us through His Holy Spirit. To grow in grace is also to grow together in grace. To grow in grace is to grow into a place of spontaneous, doxological combustion, “To God Alone be Glory!” That is the importance of Peter’s statement here. He was writing to the Church, not just to one believer. We grow in grace through the ordinary means of grace offered to us through God in His Church, the supernatural Body of Believers that He has adopted into His forever family. More about those “means” or “ways to access” God’s grace in a moment. Grow in grace throughout all of your life. Come to love Christ more and more for His sovereign grace, His divine activities on your behalf, and you will come to live a life that is free, peaceable, and just. You will also begin to surely show that grace to others. You can become as patient with others as God was patience with you. Grace, like all of God’s truths, has practical everyday importance. Think of how the world would look if more and more people grew in this grace. Well, we don’t have to dream. Grace is on its way as the Kingdom of Jesus Christ continue to grow, one person at a time, just like you. Families, nations and the whole world will be impacted by His grace. A lifetime of a journey begins with grace. But grace, as the way that Christ saves us, and keeps us, and leads us all the way home to Him one day is strengthened by another way that we as believers must grow. You must know that we are not saved by just having knowledge of the plan of salvation, knowledge of Jesus Christ and His identity as God in the Flesh, or knowledge that God is One yet three in Persons: the Father, the Son and the Holy Spirit. You are not saved by only knowledge, yet to be saved you must receive those basic truths. You must hear the Gospel that contains truths, like grace, which form cogent ideas, or divine revelation from God communicated to us by the Bible. Knowledge of God’s Revelation of Himself in the Bible is necessary to be believe. Yet knowledge of God’s Word, the Bible, which was written by God’s Spirit, through prophets and apostles and teachers, across thousands of years and 66 different books, is united in what has been called a “scarlet thread of redemption,” the covenant of grace. God created all that is. Mankind fell into sin. And for the rest of what we call the Bible, God makes a sacred pledge, a “covenant,” that He will provide what He requires through His Messiah, who is Jesus our Lord. The Bible is thus about that promise, about the people who were used to bring that promise to fruition, and about God’s dealings with us. For this reason we should continue to grow in knowledge of God and of His Word. If we do not, we will grow weak and spiritually malnourished. This can lead to spiritual diseases of the soul and to temptations from the enemy, Satan (a fallen angel who presently is allowed by God to exist, with his demons, other fallen angels, and who, having opposed Jesus and lost, now “goes about like a roaring lion seeking whom he may devour). It can also lead to bad decisions, lack of wisdom, and being deprived of the fellowship of other believers who are also on the journey of a lifetime. Failing to grow in knowledge of God and His Word can lead to danger, for while we cannot lose what God has won, to willfully ignore God’s Word, should rightfully lead us to question whether we truly believed unto eternal life, or whether we believed as a sort of experience that fizzled out like a flat Coke. God wants us to be strong for the journey of a lifetime and that means growing in knowledge of Him. God wants you to be familiar with your own family history as it were. He wants you to know the names of those who have gone before. He has given us stories to relate to our own story and to the larger Story of His love in Jesus our Savior. He has given us knowledge that leads to self-knowledge also. In the Bible we see a mirror that shows us ourselves as well as shows us God. To grow in understanding of this knowledge is to desire to grow closer to God. It is not just knowledge for knowledge’s sake! It is for, literally, God’s sake (that is, for His glory)—and for your sake. And that leads me to the third great truth in 2 Peter 3:18Open in Logos Bible Software (if available). We grow in grace and knowledge in a Person, the Lord Jesus Christ. Christianity is not just an idea. Christianity is not just a religion without a relationship. Christianity is centered in the Person of the God-Man, our friend, our Redeemer, our Mediator between Man and God, our Hope, our Sovereign, and our Lord and Savior, Jesus of Nazareth. He was prophesied in the Old Testament over three hundred times. He was born, according to the Scriptures and in fulfillment of ancient prophecy, in Bethlehem of Judea, to a virgin named Mary. Her husband, Joseph, was did not lie with his wife until after Jesus was born (other children were born to them as the New Testament shows) Joseph was a good man, a man chosen by God, revealed by an angel, to rear this child, and Joseph gave Jesus his home, lineage, and name. Joseph was the adoptive father of Jesus and that fact forever seals the beauty of adoption. You are I are adopted into God’s family. The world sometimes looks down on covenants and promises and vows, like adoption, as something less than physical inheritance. Not so in the Bible. In the Bible covenant and promise is more powerful than DNA. You are saved by grace, through the knowledge of your sin and need of a Savior, Jesus Christ. You become God’s child and He will never let you go. When you die, your soul goes immediately to be with Christ through your remains stay here until the great resurrection, when Jesus comes again. Yet the One who made all of that possible was Jesus Himself. We grow in grace and in knowledge, but that growth in focused on a Person, Jesus. If we love someone we want to spend time with that one. So, too, if you love Jesus you will want to spend time with Him. How? This leads me to now focus on the Biblical answer to how Christians in Peter’s day and Christians in our day are to grow in the grace and knowledge of Jesus Christ. We are to do so through the “means,” or “ways” that God has appointed. These are supernatural. They provide a heaven-sent power that gives us strength for our journey of a lifetime. We welcome you to pick up a copy of Dr. Milton’s introduction to the life of following Jesus Christ. It is our gift to you when visiting Trinity Chapel Charlotte. New Reformation Study Bible: English Standard Version. 1st ed. Phillipsburg, NJ: P&R Pub. 2005. Blanchard, J. Ultimate Questions. Evangelical Press, 1987. _____ Why Believe the Bible? : Evangelical Press, 2004. Bibles, C. ESV Study Bible (Trutone, Brown/Cordovan, Portfolio Design). Crossway, 2009. Boice, James Montgomery, and Philip Graham Ryken. The Doctrines of Grace: Rediscovering the Evangelical Gospel. Wheaton, Ill.: Crossway Books, 2002. Boice, James Montgomery, and Benjamin E. Sasse. Here We Stand: A Call from Confessing Evangelicals. Grand Rapids, Mich.: Baker Books, 1996. Bonhoeffer, D. The Cost of Discipleship. Touchstone, 2012. Bridges, J., et al. The Great Exchange: My Sin for His Righteousness. Crossway, 2007. .
Chapell, Bryan. Why Do We Baptize Infants? : P & R Publishing, 2007. .
_____. Holiness by Grace: Delighting in the Joy That Is Our Strength. Wheaton, Ill.: Crossway Books, 2001. Hallesby, Ole. Prayer. Minneapolis: Augsburg, 1994. Johnson, Terry. When Grace Comes Home: The Practical Difference That Calvinism Makes. Christian Focus, 2003. Kennedy, D. James, and Tom Stebbins. Evangelism Explosion: Equipping Churches for Friendship, Evangelism, Discipleship, and Healthy Growth. 4th ed. Wheaton, Ill.: Tyndale House Publishers, 1996. Kistemaker, S.J. Exposition of the Epistles of Peter and of the Epistle of Jude. Baker, 1987. Ladd, G.E. The Gospel of the Kingdom: Scriptural Studies in the Kingdom of God. Eerdmans, 1959. Lewis, C. S. The Case for Christianity. 1st Collier Books ed. New York: Collier Books, 1989. _____. The Complete C.S. Lewis Signature Classics. 1st ed. [San Francisco, Calif.]: HarperSanFrancisco, 2002. _____. Miracles: A Preliminary Study. [San Francisco]: HarperSanFrancisco, 2001. Lloyd-Jones, David Martyn. The Plight of Man and the Power of God. [2d ed. Grand Rapids, W.B. Eerdmans Pub. Co., 1966. Machen, J.G. Virgin Birth of Christ. Lutterworth Press, 1987. McDowell, J. The New Evidence That Demands a Verdict. T. Nelson, 1999. Milton, Michael A. Hit by Friendly Fire: What Do to When Fellow Believers Hurt You. EVANGELICAL Press, 2011. _____. What God Starts God Completes Pb: Updated Third Edition. Christian Focus Publications, 2012. _____. What Is Perseverance of the Saints? Basics of the Reformed Faith. Phillipsburg, N.J.: P & R Pub., 2009. _____. What Is the Doctrine of Adoption? Basics of the Reformed Faith: P&R Publishing, 2012. Murray, J. The Imputation of Adam’s Sin. Presbyterian and Reformed, 1959. Murray, John. Redemption, Accomplished and Applied. Grand Rapids,: W. B. Eerdmans Pub. Co., 1955. Overman, D.L. A Case for the Divinity of Jesus: Examining the Earliest Evidence. Rowman & Littlefield Publishers, 2009. Packer, J. I., and J. C. Ryle. Faithfulness and Holiness: The Witness of J.C. Ryle: An Appreciation by J.I. Packer. Wheaton, Ill.: Crossway Books, 2002. _____ Knowing God. Hodder & Stoughton, 2011. _____. Knowing God Study Guide. InterVarsity Press, 1993. Phillips, R.D. What Is the Lord’s Supper? : P & R Pub., 2005. Pratt, R. Spirit of the Reformation Study Bible. Zondervan, 2003. Ryken, P.G. When You Pray: Making the Lord’s Prayer Your Own. P&R Pub., 2006. Sproul, R. C. Knowing Scripture. Downers Grove, Ill.: Inter Varsity Press, 1977. _____. Saved from What? Wheaton, Ill.: Crossway Books, 2002. Stott, John R. W. Basic Christianity. 2nd ed. Leicester: Inter-Varsity, 2002. _____. The Cross of Christ. 20th anniversary ed. Downers Grove, Ill.: IVP Books, 2006. Strobel, L. The Case for the Resurrection. Zondervan, 2010. Walter C. Kaiser, J. The Messiah in the Old Testament. Zondervan, 1995. Warfield, Benjamin Breckinridge. The Plan of Salvation. 1st Simpson Pub. Co. re ed. Boonton, N. J.: Simpson Pub. Co., 1989. Wright, C.J.H. Salvation Belongs to Our God: Celebrating the Bible’s Central Story. InterVarsity Press, 2008. 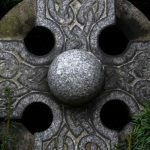 The Apostles’ Creed, the Lord’s Prayer, and the Ten Commandments have long been the basic articles of the Christian faith which help us to begin our journey. They are not meant to be learned for meaningless repetition, but that doesn’t mean that one should ignore the power or rote memory. Placing these truths in our minds as well as our hearts provides us with a rudimentary framework for the Christian faith. The Ten Commandments reminds us that God saved us to a new life of following Him. To follow Him through His revealed Word about our relationship with Himself, with the deep part of our own selves, and with others in community, brings blessings and life. The Ten Commandments do not save us. We are saved by God’s grace through Jesus Christ. The Commandments guide us into a new life of following God. Likewise, the Lord’s Prayer, as we have shown, is a guide to prayer. If we had nothing other than this guide, memorized and prayed, broken apart phrase by phrase, we would have all that we need to come to God according to His method of prayer for us. Finally, the Apostles’ Creed is an ancient summary of what the Bible teaches about the very basics of our faith. Those basics unite us with other believers all through time and all around the world. So do memorize these, but memorize them to active them into living expressions of your heart and life in the community of God’s people, the Church. Our Father, which art in heaven, Hallowed be thy Name. Thy Kingdom come. Thy will be done in earth, As it is in heaven.Give us this day our daily bread.And forgive us our trespasses, As we forgive them that trespass against us. And lead us not into temptation, But deliver us from evil. For thine is the kingdom, The power, and the glory, For ever and ever. Amen. “And God spoke all these words, saying, ‘I am the Lord your God, who brought you out of the land of Egypt, out of the house of slavery. “For everyone who calls on the name of the Lord will be saved” (Romans 10:13 ESV). James Montgomery Boice and Benjamin E. Sasse, Here We Stand : A Call from Confessing Evangelicals (Grand Rapids, Mich.: Baker Books, 1996). “For by grace you have been saved through faith. And this is not your own doing; it is the gift of God, not a result of works, so that no one may boast” (Ephesians 2:8-9 ESV). David Martyn Lloyd-Jones, The Plight of Man and the Power of God, [2d ed. (Grand Rapids,: W.B. Eerdmans Pub. Co., 1966). See also R. C. Sproul, Saved from What? (Wheaton, Ill.: Crossway Books, 2002). See J. Murray, The Imputation of Adam’s Sin (Presbyterian and Reformed, 1959). See also John Murray, Redemption, Accomplished and Applied (Grand Rapids,: W. B. Eerdmans Pub. Co., 1955). See J. Bridges, B. Bevington, S. Ferguson and S.B. Ferguson, The Great Exchange: My Sin for His Righteousness (Crossway, 2007). “The Son of God, the second Person in the Trinity, being very and eternal God, of one substance, and equal with the Father, did, when the fullness of time was come, take upon him man’s nature, with all the essential properties and common infirmities thereof; yet without sin: being conceived by he power of the Holy Ghost, in the womb of the Virgin Mary, of her substance. So that two whole, perfect, and distinct natures, the Godhead and the manhood, were inseparably joined together in one person, without conversion, composition, or confusion. Which person is very God and very man, yet one Christ, the only Mediator between God and man.” See The Westminster Confession of Faith, Chapter Three, article two, at Reformed.com (http://www.reformed.org/documents/index.html?mainframe=http://www.reformed.org/documents/westminster_conf_of_faith.html), accessed on September 4, 2012. For a review of six major Protestant confessions of faith and a study on the doctrine of Christ and other essential Christian teachings, we commend R. Pratt, Spirit of the Reformation Study Bible (Zondervan, 2003). C. S. Lewis, The Case for Christianity, 1st Collier Books ed. (New York: Collier Books, 1989). See also L. Strobel, The Case for the Resurrection (Zondervan, 2010). J. McDowell, The New Evidence That Demands a Verdict (T. Nelson, 1999). “I and the Father are one” (John 10:30 ESVOpen in Logos Bible Software (if available)). For a scholarly review of the self identity of Jesus of Nazareth as God in the Bible see D.L. Overman, A Case for the Divinity of Jesus: Examining the Earliest Evidence (Rowman & Littlefield Publishers, 2009). “For in him the whole fullness of deity dwells bodily” (Colossians 2:9 ESV). J.G. Machen, Virgin Birth of Christ (Lutterworth Press, 1987). C. S. Lewis, Miracles: A Preliminary Study ([San Francisco]: Harper San Francisco, 2001). See Overman, A Case for the Divinity of Jesus: Examining the Earliest Evidence. We commend the Commentary on 2 Peter by Dr. Simon Kistemaker: S.J. Kistemaker, Exposition of the Epistles of Peter and of the Epistle of Jude (Baker, 1987). John R. W. Stott, Basic Christianity, 2nd ed. (Leicester: Inter-Varsity, 2002). D. James Kennedy and Tom Stebbins, Evangelism Explosion : Equipping Churches for Friendship, Evangelism, Discipleship, and Healthy Growth, 4th ed. (Wheaton, Ill.: Tyndale House Publishers, 1996). John R. W. Stott, The Cross of Christ, 20th anniversary ed. (Downers Grove, Ill.: IVP Books, 2006). Benjamin Breckinridge Warfield, The Plan of Salvation, 1st Simpson Pub. Co. re ed. (Boonton, N. J.: Simpson Pub. Co., 1989). The Kingdom of God is the rule and reign of our Lord and Savior Jesus Christ. His rule, His Kingdom, is here, is growing, from the inside out, and will one day burst forth in cataclysmic form when He returns in visible, bodily form. See D. Bonhoeffer, The Cost of Discipleship (Touchstone, 2012) 166. See also G.E. Ladd, The Gospel of the Kingdom: Scriptural Studies in the Kingdom of God (Eerdmans, 1959). “Then the seventh angel blew his trumpet, and there were loud voices in heaven, saying, “The kingdom of the world has become the kingdom of our Lord and of his Christ, and he shall reign forever and ever” (Revelation 11:15 ESV). J.I. Packer, Knowing God Study Guide (InterVarsity Press, 1993) 22ff. T. Johnson, When Grace Comes Home: The Practical Difference That Calvinism Makes (Christian Focus, 2003). J.I. Packer, Knowing God (Hodder & Stoughton, 2011). Bryan Chapell, Holiness by Grace : Delighting in the Joy That Is Our Strength (Wheaton, Ill.: Crossway Books, 2001). R. C. Sproul, Knowing Scripture (Downers Grove, Ill.: Inter Varsity Press, 1977). James Montgomery Boice and Philip Graham Ryken, The Doctrines of Grace : Rediscovering the Evangelical Gospel (Wheaton, Ill.: Crossway Books, 2002). See “What the Old Testament Prophesied About the Messiah” (http://www.christianity.com/Christian%20Foundations/Jesus/11541169/0, accessed September 4, 2012. See also J. Walter C. Kaiser, The Messiah in the Old Testament (Zondervan, 1995). Michael Anthony Milton, What Is the Doctrine of Adoption?, Basics of the Reformed Faith (P&R Publishing, 2012). Michael A. Milton, What Is Perseverance of the Saints?, Basics of the Reformed Faith. (Phillipsburg, N.J.: P & R Pub., 2009). We commend C. Bibles, ESV Study Bible (Crossway, 2009). We also commend New Reformation Study Bible : English Standard Version, 1st ed. (Phillipsburg, NJ: P&R Pub., 2005). C.J.H. Wright, Salvation Belongs to Our God: Celebrating the Bible’s Central Story (InterVarsity Press, 2008) 125. B. Chapell, Why Do We Baptize Infants? (P & R Publishing, 2007). R.D. Phillips, What Is the Lord’s Supper? (P & R Pub., 2005). Ole Hallesby, Prayer (Minneapolis: Augsburg, 1994). P.G. Ryken, When You Pray: Making the Lord’s Prayer Your Own (P&R Pub., 2006). 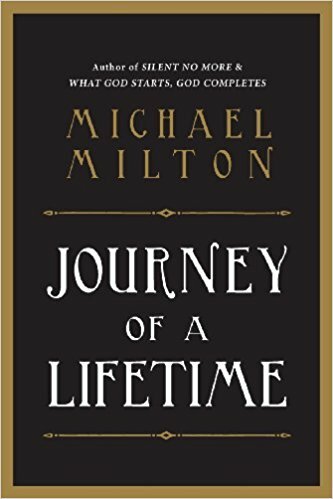 M. Milton, What God Starts God Completes Pb: Updated Third Edition (Christian Focus Publications, 2012).